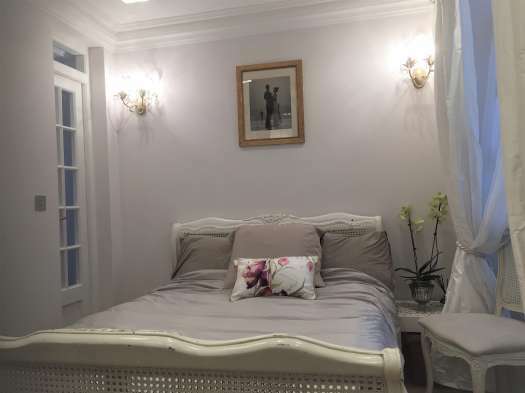 This lovely peaceful bed and breakfast accommodation is situated in a large garden flat, overlooking the beautiful St. George’s Square, Westminster. 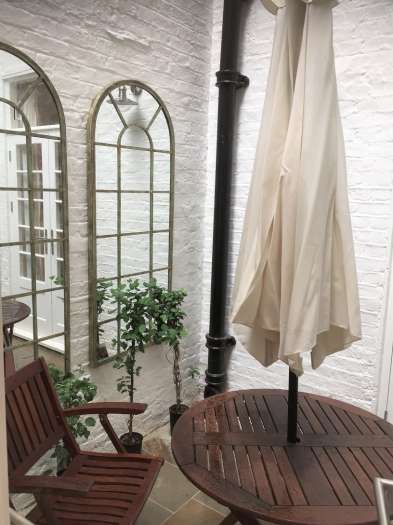 It has a fully private suite, with a double bed and includes a colour television in the bedroom and lovely patio doors out onto a private courtyard where guests can have breakfast or sit and relax. 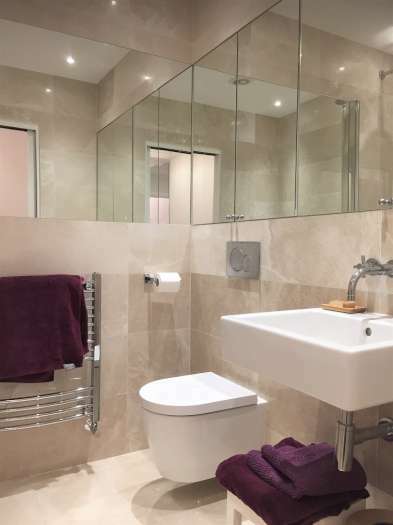 The en-suite bathroom is to a very high standard, is fully tiled and has a modern bathroom suite comprising of bathtub with shower over, wash hand basin and W.C. 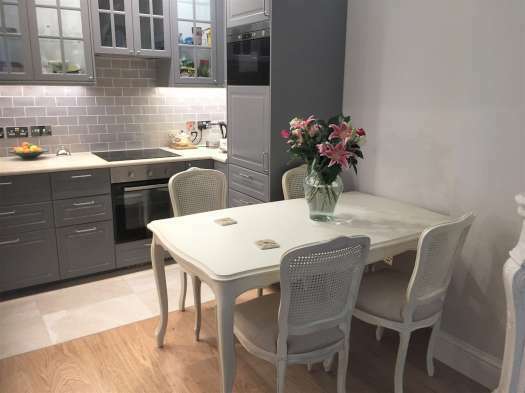 This whole suite is kept completely separate to the rest of the flat, so privacy is excellent. The very charming host provides a continental breakfast. She is a very helpful and friendly lady who tries to ensure her guests have a wonderful stay. 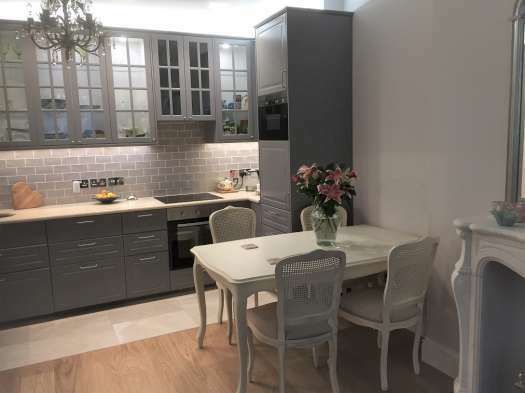 The nearest tube is Pimlico and there is a great bus service into Chelsea, West End and it is also walking distance to Victoria mainline train station. 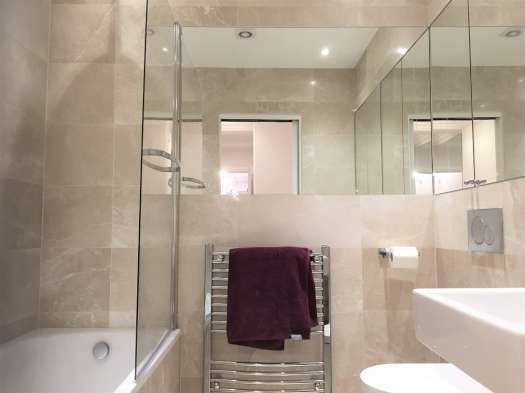 •En-suite bathroom with bath/shower over. You may pay your reservation fee by credit or debit card (Mastercard, Visa [not Visa Electron], Solo), or sterling cheque drawn on a UK bank. You may also pay by bankers’ draft, adding the equivalent of £12.00 sterling for bank charges. The balance must be paid in sterling cash to your hosts within 24 hours of your arrival. Copyright ©2019 At Home in London All Rights Reserved.